The government is committed to developing a more comprehensive health services network for children and newborns so as to provide the next generation with the best standard of care, according to Vice President Chen Chien-jen April 13. Reducing infant mortality is a target of these efforts, with the Ministry of Health and Welfare planning to expand care for high-risk pregnancies, Chen said. Related measures will include offering women more wide-ranging pre- and postnatal services, he added. Chen made the remarks at the Taiwan Children Healthcare Excellence Award ceremony in Taipei City. The honors are sponsored by the MOHW and organized by New Taipei City-based Raising Children Medical Foundation. This year’s winners include the child abuse unit at Kaohsiung Medical University Chung-Ho Memorial Hospital in southern Taiwan. Established in 2014, the team cooperates with law enforcement and social workers to identify, protect and provide care to mistreated youths. The contribution award was presented to Dr. Tien Yin-chun, head of the College of Medicine at Kaohsiung Medical University, for his work in pediatric orthopedics. 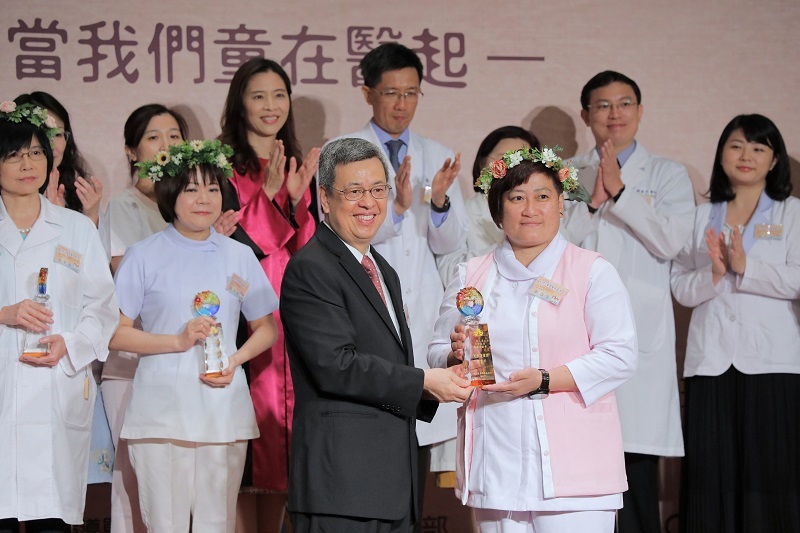 Dr. Tsai Wen-yu, who retired last year as a pediatric endocrinologist at National Taiwan University Hospital in Taipei, received the lifetime achievement prize. Dr. Kuo Meng-fai, director of pediatric neurosurgery at NTUH, picked up the honor for outstanding veteran physician, while Dr. Lin Hsin-chia, a pediatric cardiologist at NTUH’s Yunlin branch in western Taiwan, earned the emerging doctor award.